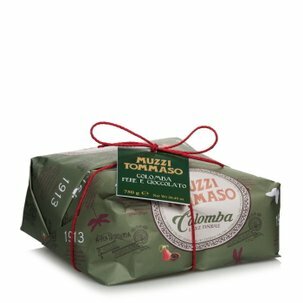 The grand chocolate colomba from Muzzi will ensure your Easter is full of sweetness. 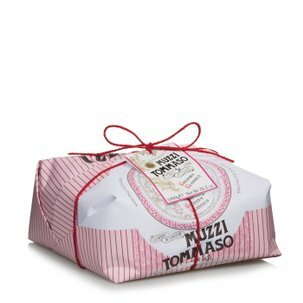 This special variation on the classic Easter cake is expertly made by the famous company from Umbria. It has been produced using only the best selected ingredients, and by carefully following the traditional recipe. 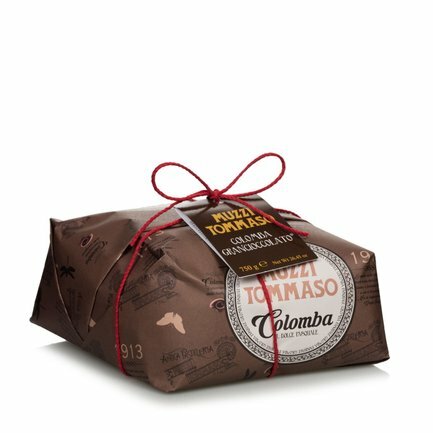 The grand chocolate colomba contains the very finest raw materials from Perugia and the surrounding province. 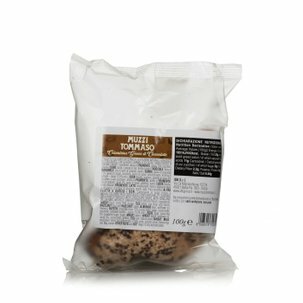 Fresh eggs and organic butter are the basic ingredients, while the centre of the cake contains excellent dark chocolate. Treat yourself to its delectable softness! 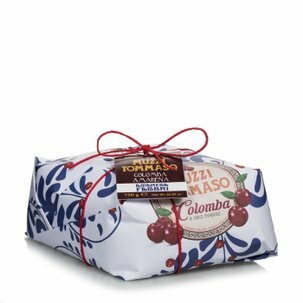 If you want to enjoy the grand chocolate colomba to the full, combine it with a glass of Moscato or a white dessert wine. These types of wine will help enhance its distinctive but delicate taste, providing a wonderful finale to your Easter lunch. Ingredients WHEAT Ave, BUTTER, EGGS, choolote deps 13% (sugar, cocco mass, coccio bune, emukifier: sudore ledthin, natura) vacilla Bavour - coccio: 41% min. ), sugor, ploin chocolote 5,5% (sugor, cocca mass, cacca butter, ernuIsifier: sunflower lenithin, natural vendici %your - cocoo: 51,5% min. ), EGG yolk, HAZELNUTS gluir6 3,5% MILK, natura) yeost (WHEAT), emulsifier mono and diglycerides of Tony onde, glucose syrup, flavourings, caos buner, sali. May contare OTHER NUTS and SOY. For more information on product labels, please contact our Customer Service department. The information on the labels of the products may vary for reasons beyond our control, therefore, there may be discrepancies between the information on the site and that on the products delivered. Please always check the information on the product before consumption or use.